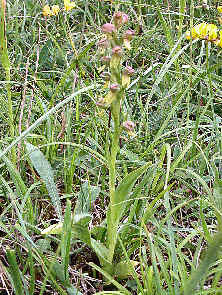 These orchids grow in poor to rich, basic to acidic soil, in short grass or desciduous woods or thickets. 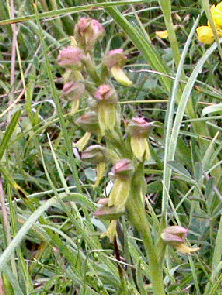 The flowers are yellow green, often tinged with purple or redddish-brown. 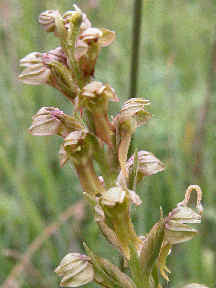 The colour of the lip varies from yellow-green to reddish brown. These flowers are much pinker than the above plant.